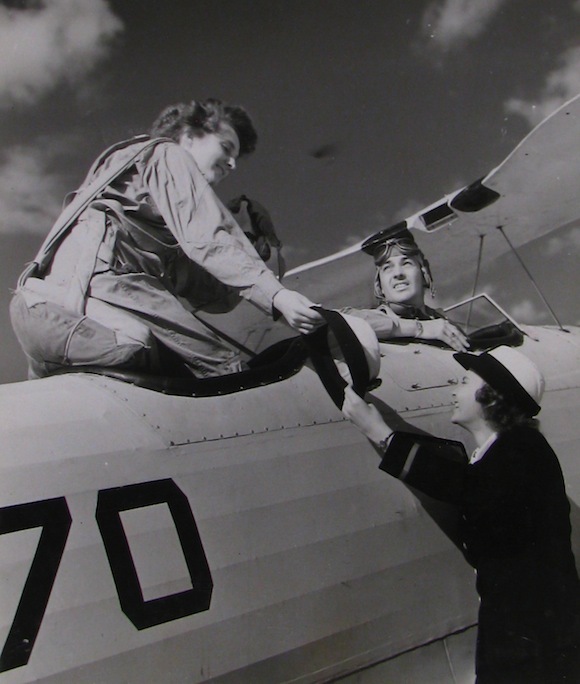 WAVE Ensign Mary McLean steps into the cockpit in flight gear while on duty at NAS Squantum, Massachusetts. Looking on are Lt. Leo J. Houle, the pilot, and Ensign Barbara Hunter. Lt. Houle was a former Flying Tiger pilot on the Chinese front.